So-called Thai “academic” Thitinana Pongsudhirak of Chulalongkorn University in a Bangkok Post op-ed titled, “Thailand lags as Myanmar gains ground,” attempts to convince readers that Myanmar is an example for Southeast Asia to follow, while Thailand is in reverse. He fails to mention the “popular rule” removed from power by “two military coups” was led by Thaksin Shinawatra, a man who literally mass murdered nearly 3,000 innocent people in 2003, another 85 protesters in a single day in 2004, and carried out a systematic campaign of murder, assassinations, kidnappings, and physical and legal intimidation to silence his critics and political opponents all while illegally and very openly consolidating his power. In the wake of the 2006 coup, twice Shinawatra brought mobs to Bangkok, and in 2010 those mobs included 300 heavily armed terrorists who tipped off street battles that killed nearly 100 protesters, by-standers, soldiers, and police. That was before Shinawatra’s political subordinates openly called for nationwide arson upon protest stages before dutifully and destructively carrying it out. Thitinan, like many pro-Shinawatra lobbyists impersonating academics, intentionally leaves all of this out, as well as any feasible alternative that could have been used to remove a “popular ruler” from power who was openly trampling both the rule of law, and the lives and livelihoods of the people of Thailand. Thitinan then touches back on Myanmar, citing Western condemnation and sanctions as one of several causes for Myanmar’s failure to keep up with its Southeast Asian neighbors. He incorrectly cites however, “the force and logic of basic rights and freedoms” as why the military-led government there finally gave in to Suu Kyi’s opposition party.In reality, Suu Kyi’s political party was inhibited by Myanmar’s military-led government – true – but what propelled it was millions upon millions of dollars a year and decades of support from the US State Department and the UK Foreign Office – not “the force of basic rights and freedom.” This is a technical reality a real academic should not only be aware of, but should explain to readers to foster greater understanding of politics and geopolitics. Thitinan does not.Suu Kyi’s political party itself is dominated by racist, violent, even genocidal forces who have likewise, and for years denied the rights and freedoms of Myanmar’s Rohingya population and all others who oppose Suu Kyi. It is no different than the military-led government it is replacing, except for the fact that the military sustained itself upon the resources of Myanmar which it controls through state enterprises, while Suu Kyi’s political party sustains itself on foreign cash and backing. With Suu Kyi now in power, pledging to “rule above” the elected president she is every bit a dictator as the retreating military-led government was accused of being. Activists and leaders among those opposing her are being rounded up and taking the place in prison of Suu Kyi’s followers she has released from jail cells.Thitinan never mentions any of this – facts reported on even by the Western media he so faithfully follows and repeats. The Bangkok Post, which regularly hosts Thitinan’s op-eds, for example, published a headline titled, “Suu Kyi pledges to ‘rule above’ leader.” Nowhere is Thitinan’s op-ed condemning this very undemocratic proclamation.Thitinan acknowledges some of Shinawatra’s corruption and abuse of power, but appears to believe criminal conduct should be sorted out at the polls, not in courtrooms – courtrooms Shinawatra and his political party have openly declared they will not recognize the authority of – making what Thitinan calls “popular rule” in fiction, even more dictatorial and unchecked in reality. It is yet another example of the selective promotion of “democracy” by the West where the only true deciding factor is whether or not the West wants a particular political force to take power or not. His concluding “advice” as an “academic” is for Thailand and the rest of Asia to emulate the “compromise” Myanmar’s military-led government made with Suu Kyi’s political party. In reality, it was not a compromise – it was coercion and capitulation enabled by tremendous influence funneled into Myanmar through Suu Kyi’s political front by Myanmar’s former colonial rulers and their partners across the Atlantic in Washington. Caving in to foreign coercion and dominion by compromising with the milieu of foreign-backed terrorists and traitors arrayed against them is not sound advice an academic should be giving Southeast Asia’s people and policymakers. Thitinan categorically failed to thoroughly analyze and qualify his conclusions with the actual dynamics driving both Thailand and Myanmar’s political crises. By doing so, he finds himself merely repeating Western-generated propaganda, not engaging in sound analysis. Calling him an “academic” undermines real academia, and the Bangkok Post’s constant allowance of column space in their paper to him without any semblance of counterbalance undermines journalism. Myanmar and Thailand are indeed linked – not through the forces of “basic rights and freedoms” as Thitinan claims, but through the prevailing influence of neo-colonialism wielded by Wall Street, Washington, London, and Brussels, four centers of power disproportionately holding immense global wealth and influence, and seeking to further expand both still – including into Southeast Asia and for the purpose of encircling and containing the rise of China. Thitinan not only fails to mention US and European influence within Myanmar’s political process – saying nothing of his failure to mention huge Western lobbying efforts arrayed behind Thaksin Shinawatra – he also fails to mention China’s place among this shifting political landscape.He fails to mention the influence China had in Myanmar before this most recent transition and how that influence has been rolled back in favor of Western corporations. He has also failed to mention China’s relationship with Thailand and how Bangkok has shifted away from Western influence by balancing it with a closer relationship to Beijing. Moscow, and others.Thitinan has failed categorically to analyze quantifiable dynamics driving domestic political crises within Southeast Asian states, has failed to examine them in a broader geopolitical context, and has failed categorically to place any of this in a relevant historical context.The balancing act Myanmar has failed at, allowing itself to be overwhelmed by proxies controlled directly by the West is not an example for all of Southeast Asia to follow. 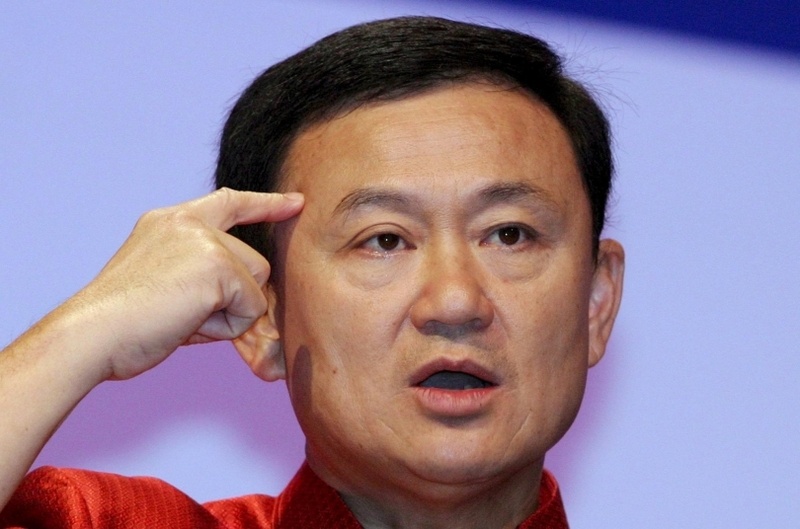 Conversely, Thailand’s balancing act – slowly removing Shinawatra from power over the course of 2 coups and ongoing reforms, as well as its attempts to balance rather than replace US influence with closer ties to China and others – is a historical balancing act that Thailand has performed that has saved it from the colonialism its neighbors suffered under for centuries. Thitinan claims to be an academic, but fails to understand current political dynamics, geopolitics, or historical context of current events, leading many to wonder what exactly he is an “academic” of. Thailand’s universities, and universities across the rest of Asia should seriously consider imposing mandatory quotas on their “academics,” forcing them to spend the majority of their time developing and implementing tangible solutions to Thailand’s problems, instead of engaging in what appears to be politically-motivated lobbying. Barring that, characters like Thitinan will continue to undermine the credibility of all academia, just as Bangkok Post consistently undermines journalism by providing no counterbalance to his politically motivated op-eds week-to-week.